George Barris is widely considered to be the king of custom cars. His notable creations include the original Batmobile, the Munsters’ Koach, and Black Beauty from the original Green Hornet series among numerous other famous creations. 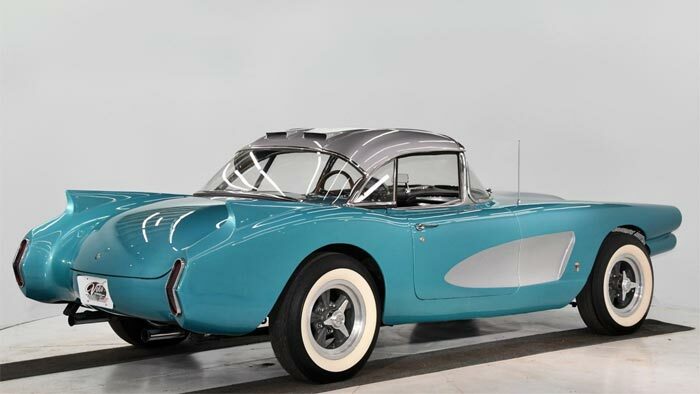 Another of his creations, a crazy custom 1958 Corvette, is up on eBay right now looking for a new home. 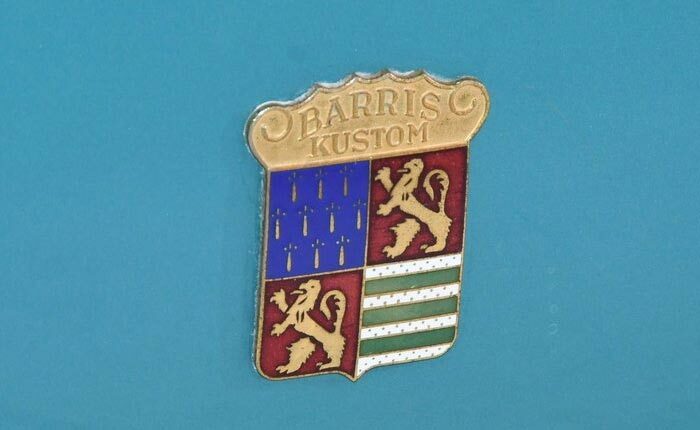 According to the listing, Lee Sims of a company called Accessories International commissioned Barris to build this unique C1 as a marketing tool for his company. 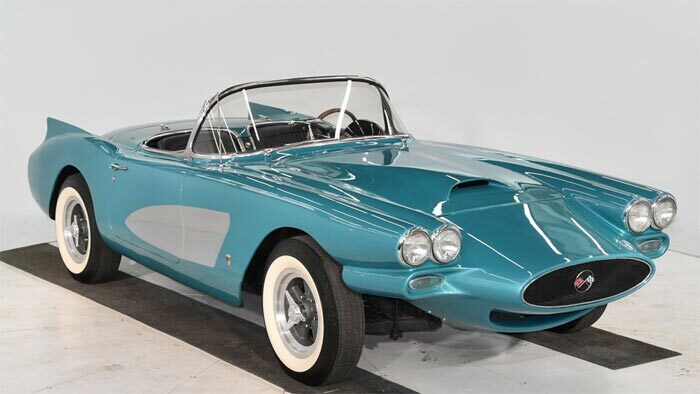 The car began life as standard, brand new, 1958 Corvette. The finished product we see here was completed later in 1959. The car spent most of its life on the west coast following the car show circuit. During that time, it won at the Los Angeles Arena show in the early 1960’s. It has also been featured in Vette and Motor Trend magazines over the years. It was restored during the 1990’s and then did the car show circuit again. Today the car appears in very good condition with some minor blemishes denoted by the seller. Power currently comes from a 1964 Corvette’s 327/340 hp motor. Those ponies get to the road via a 4-speed transmission and 12-bolt rear end. 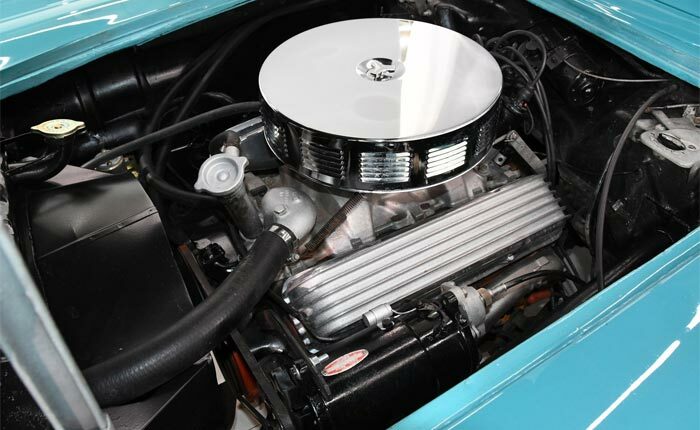 The engine itself appears relatively stock save for some cool finned aluminum valve covers. Outside you can’t miss that extended nose with the huge opening. The hood wears a custom scoop and the rear fenders sport a pair of tall fins above some Buick tail lights. The 1958-signature trunk irons are long gone. Two non-functional vents adorn the top of the factory hardtop. Polyester whitewall tires wrap Anson Auto Engineering mag-style with wheels. The interior of this straight axle Corvette is relatively stock in appearance. 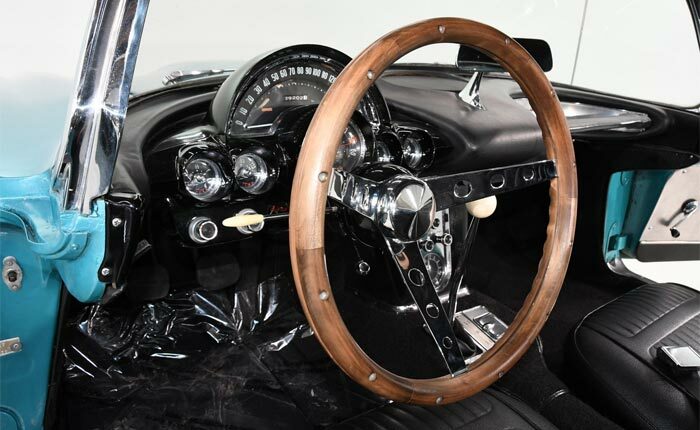 The only modifications are a walnut steering wheel and a tall Hurst shifter. The seller states that “The seats, door panels, dash pad, carpet are in excellent shape.” Based on the photos, that appears to be accurate. 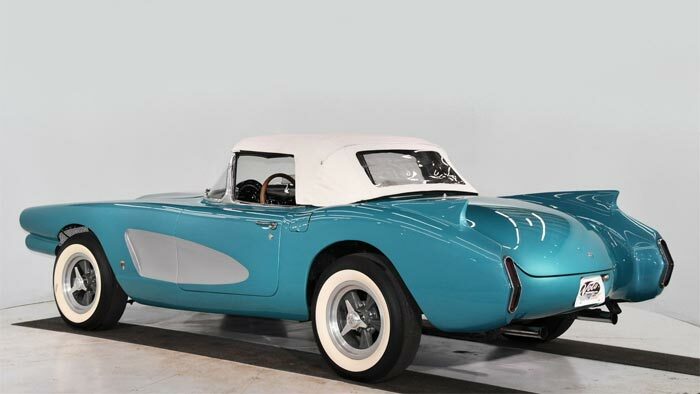 Here’s a great opportunity to procure a truly unique vintage corvette built by one on the custom car industry’s icons. If you’re looking for a Corvette your neighbor doesn’t have, this just may be the car for you. 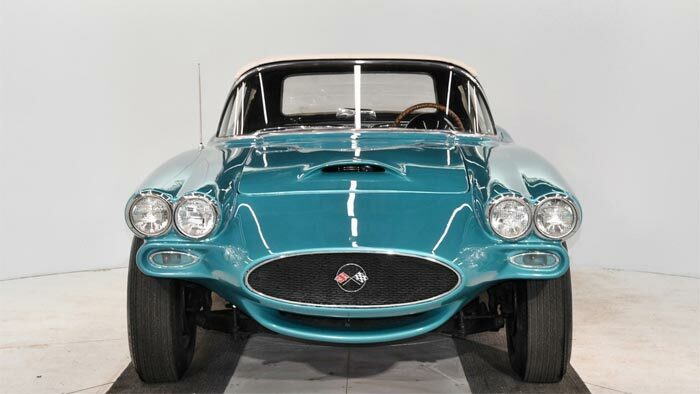 It’s being listed by the Volo Auto Museum with a Buy-it-Now price of $98,998. Once you’ve got that tax return check, head on over to eBay and check it out. Steve Burns is the self-appointed Chief of Operations at CorvetteBlogger’s Motor City Bureau. He is a lifelong Corvette enthusiast and has owned 4 Corvettes (so far). He is a NCRS member and judge and attends all the major Corvette shows each year.